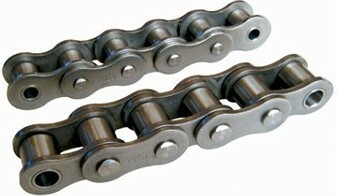 Transmission roller chain, China Transmission chain, drive chain manufacturer. Transmission chain also named driving chain,it is one kind of roller chains.It is used for driving engine,sprocket or other machines.We use high quality materials and heat-treated to ensure wear life. 5. Bicycle Chains: 1/2"x1/8", 1/2"x3/32"